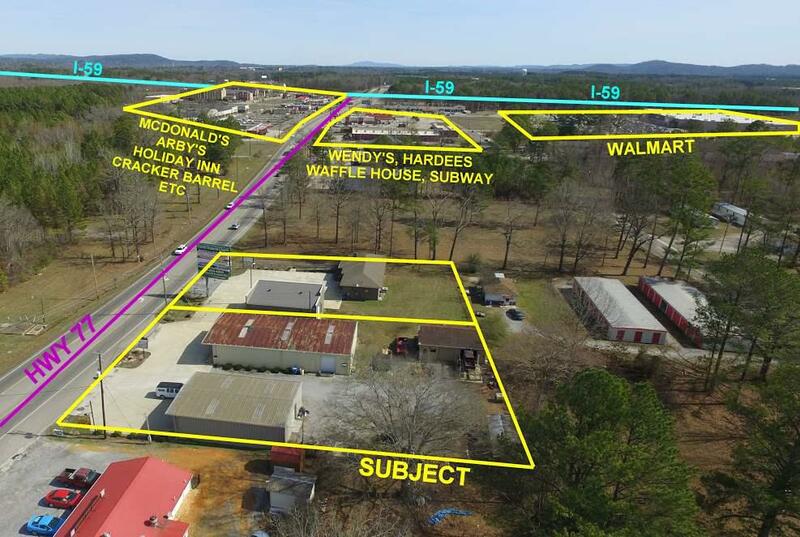 COMMERCIAL- HIGHWAY 77- ATTALLA- 3 Buildings on a highly visible 1/2 acre +/- parcel with a high traffic count.... 35 x 50 +/- metal building with open floor plan, 2 baths and 3 bays.... 40 x 70 +/- metal building w/ rock facade, open floor plan w/ kitchenette & 2 Baths and 1 bay..... 25 x 35 +/- building w/ 1 office, 1 bath & 2 bays... Approx $1,500/month in rent. Adjacent income producing property available! Call for details!